Explore our 63 new Acura RDXs for sale. When you are ready to buy, simply estimate your monthly loan payments and apply for financing from the comfort of your Costa Mesa home. Recently, critical reviewers have praised the new Acura RDX – only echoing what Riverside and Cerritos drivers already know. Review the Acura RDX for Yourself at Weir Canyon Acura! 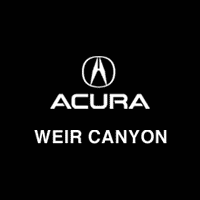 Review the new Acura RDX for yourself at Weir Canyon Acura. Here, we offer a rotating panel of Acura RDX lease offers, and our knowledgeable staff will help you compare the RDX to the Mercedes-Benz GLC or the Lexus NX. If you’re ready take a step inside this luxury crossover, complete this easy-to-use contact us form. In the message box, mention your interest in learning more about the new Acura RDX – or mention that you’d like to schedule a test drive.